The Saatchi Bill Consultation is over – what happens now? 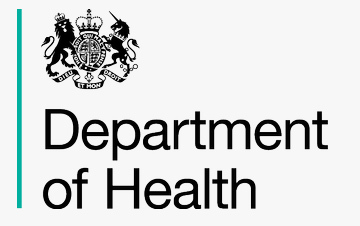 The Department of Health’s consultation into the Medical Innovation Bill has closed and we now know that the evidence demonstrating a need for the Bill is compelling. So far, more than 18,000 people ¬– including patients, doctors, researchers, scientists and charities – have responded to the consultation supporting the Bill, many confirming that they have experienced the deterrent effect that an increasingly risk-averse culture is having on responsible medical innovation. The Saatchi Bill team is grateful for all the comments and input we have received throughout the consultation period. Thank you for your help and support. All the concerns expressed about the Bill have been heard and a new draft Bill is already in play – it remains true to the core principles of nurturing the innovator and protecting the patient, but is clearer on the process that doctors must go through if they are to innovate safely. The Bill team will publish a guide showing how the new draft Bill meets concerns expressed by legal and medical professionals. (For those lawyers reading this, it will make it clear that Bolam-Bolitho still stands and that the Bill will not support reckless experimentation). At the same time, the new Bill will hold fast to our guiding principles. Doctors must be given the freedom to innovate responsibly, with the confidence that the law will protect them if their decision is made with the support of a responsible body of medical opinion and consultation. They must not be forced to wait until their decision is tested in expensive and traumatic litigation or disciplinary proceedings. Nobody wants that, except perhaps a small group of lawyers who make their living from the existing litigation-focused system. The Bill will be an opportunity for all those who are concerned that the legal system is not properly serving patients with rare diseases, whose hope rests entirely on innovation. Patients want to know that every responsible avenue is being explored in order to help them, and that doing nothing is no longer the easy and safe answer. And patients will still be protected from negligent treatment. A doctor who harms a patient through bad practice or negligent treatment or who makes a mistake can still be sued. Bad doctoring is still bad doctoring and a mistake that causes damage, remains a mistake. Good doctors must be given the protection and encouragement of the law to innovate safely and responsibly. And bad doctors must be deterred from innovating without support of their colleagues. The Bill achieves both aims. Jeremy Hunt promised to pass the Bill into law if the public wanted it. You have spoken and you have said, clearly and in numbers, that you support the Bill. Civil servants in the Department of Health will analyse the results and then make a recommendation to Jeremy Hunt whether to support the Bill or not. We are confident that he will. It will then be up to the Government to find time to bring the Bill before Parliament for debate and to be passed in to law. This should happen before the next election. The new Bill and the guide will be published shortly.